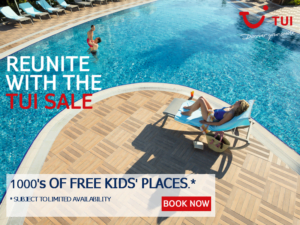 Book TUI Gran Canaria late deals and First Choice All Inclusive holidays. 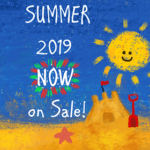 Ideal for Summer 2019, Summer 2020 & Winter 2019 / 2020 holidays early bookings, popular for family, couples and breaks with friends, with stunning scenery and excellent beaches. TUI Gran Canaria late deals are a great bargain. 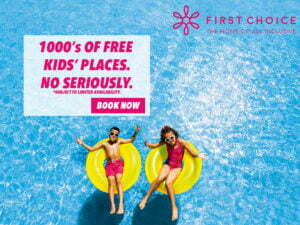 First Choice also have some great all inclusive last minute holiday deals to Gran Canaria. For other departure airports, to change numbers of adults and children, and dates etc. such as Summer 2019, Summer 2020 and Winter 2019 / 2020 please change the search options. From £270pp, Monday, May 6, 2019, for 7 nights - Staying at the 3 Star Cala d'Or Apartments, Puerto Rico, Gran Canaria - 1 Bedroom Apartment with Balcony - Self Catering from TUI - depart from Luton airport. From £270pp, Monday, May 6, 2019, for 7 nights - Staying at the 3 Star Cala Nova, Puerto Rico, Gran Canaria - 1 Bedroom Apartment - Self Catering from TUI - depart from Luton airport. From £274pp, Monday, May 6, 2019, for 7 nights - Staying at the 4 Star Canaima Apartments, Puerto Rico, Gran Canaria - 1 Bedroom Apartment with Balcony or Terrace - Self Catering from TUI - depart from Luton airport. From £278pp, Monday, May 6, 2019, for 7 nights - Staying at the 3 Star Portonovo Apartments, Puerto Rico, Gran Canaria - 2 Bedroom Apartment with Marina View and Balcony - Self Catering from TUI - depart from Luton airport. From £280pp, Monday, May 6, 2019, for 7 nights - Staying at the 3 Star Altair Apartments, Puerto Rico, Gran Canaria - 1 Bedroom Apartment with Balcony - Self Catering from TUI - depart from Luton airport. 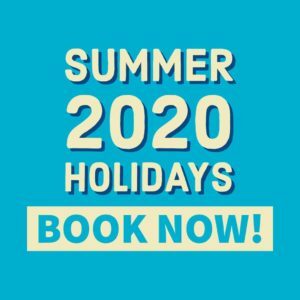 From £303pp, Thursday, May 9, 2019, for 7 nights - Staying at the 4 Star TUI FAMILY LIFE Playa Feliz, Bahia Feliz, Gran Canaria - 1 Bedroom Apartment with Balcony or Terrace - Self Catering from TUI - depart from London Gatwick airport. From £308pp, Thursday, May 9, 2019, for 7 nights - Staying at the 2 Star Nacho Sol, Puerto Rico, Gran Canaria - Premium Studio with Sea View and Terrace - Self Catering from TUI - depart from London Gatwick airport. From £308pp, Thursday, May 9, 2019, for 7 nights - Staying at the 2 Star Parquemar, Playa del Ingles, Gran Canaria - Studio with Balcony - Self Catering from TUI - depart from London Gatwick airport. From £311pp, Monday, May 6, 2019, for 7 nights - Staying at the 3 Star Riviera Vista Hotel, Playa Del Cura, Gran Canaria - Junior Suite - Room Only from TUI - depart from Luton airport. From £313pp, Monday, May 6, 2019, for 7 nights - Staying at the 4 Star IG Nachosol Atlantic, Puerto Rico, Gran Canaria - Twin Room with Balcony - Bed and Breakfast from TUI - depart from Luton airport. From £376pp, Thursday, May 9, 2019, for 7 nights - Staying at the 3 plus Star SuneoClub Servatur Waikiki, Playa del Ingles, Gran Canaria - Twin Room with Balcony - All Inclusive from First Choice - depart from London Gatwick airport. From £424pp, Monday, May 6, 2019, for 7 nights - Staying at the 3 Star Servatur Puerto Azul, Puerto Rico, Gran Canaria - 1 Bedroom Apartment with Sea View and Balcony - All Inclusive from First Choice - depart from Luton airport. From £441pp, Monday, May 6, 2019, for 7 nights - Staying at the 4 Star Riu Vistamar, Amadores, Gran Canaria - Twin Room with Sea View and Balcony - All Inclusive from First Choice - depart from Luton airport. From £453pp, Monday, May 6, 2019, for 7 nights - Staying at the 3 Star Dunas Mirador Maspalomas, Maspalomas, Gran Canaria - Twin Room with Pool View and Balcony or Terrace - All Inclusive from First Choice - depart from Luton airport. From £453pp, Monday, May 6, 2019, for 7 nights - Staying at the 3 plus Star Mogan Princess & Beach Club, Playa Taurito, Gran Canaria - Twin Room with Sea View and Balcony - All Inclusive from First Choice - depart from Luton airport. From £481pp, Monday, May 6, 2019, for 7 nights - Staying at the 4 Star Paradise Valle Taurito, Playa Taurito, Gran Canaria - Twin Room with Limited Sea View and Balcony - All Inclusive from First Choice - depart from Stansted airport. From £504pp, Monday, May 6, 2019, for 7 nights - Staying at the 4 Star Hotel Taurito Princess, Playa Taurito, Gran Canaria - Twin Room with Sea View and Balcony - All Inclusive from First Choice - depart from Stansted airport. From £538pp, Monday, May 6, 2019, for 7 nights - Staying at the 4 plus Star Riu Papayas, Playa del Ingles, Gran Canaria - Twin Room with Balcony - All Inclusive from First Choice - depart from Stansted airport. From £583pp, Saturday, May 11, 2019, for 7 nights - Staying at the 3 plus Star Occidental Margaritas, Playa del Ingles, Gran Canaria - Superior Twin Room with Balcony or Terrace - All Inclusive from First Choice - depart from London Gatwick airport. From £596pp, Monday, May 6, 2019, for 7 nights - Staying at the 4 Star Suitehotel Playa del Ingles, Playa del Ingles, Gran Canaria - Twin Room with Balcony - All Inclusive from First Choice - depart from Luton airport.